The key to elegance is always known to be simplicity. In an instant, a single strand of pearls or graceful pearl stud can easily elevate your ensemble to new heights. 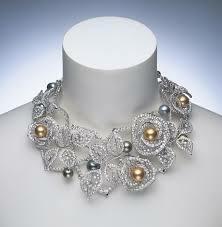 Luxury Japanese pearl jeweler Mikimoto has both classic and contemporary takes on pearls. And, to celebrate 125 years in business, the brand is launching some awesome new collections. Who Is Fashion Icon & Pearl Jeweler Mikimoto? Who is Mikimoto? He is a pearl fashion icon whose brand has been in the fashion industry for over 100 years, giving it a barrage of experience in jewel making techniques. 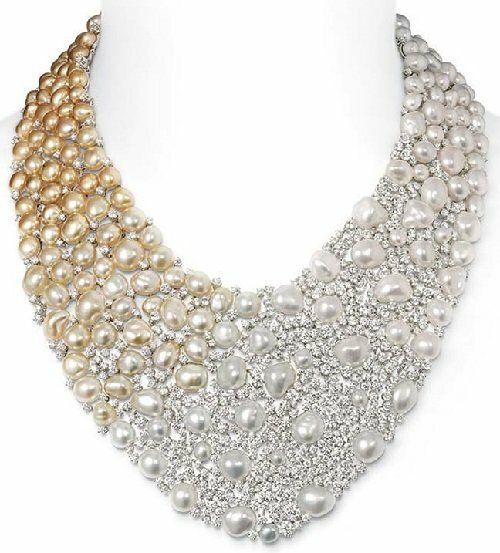 You can count on either drop pearl earrings, pearl pendant necklaces, various cultured pearls or the pave diamond necklaces to complement every outfit and occasion. Mikimoto’s brand initial is the M-collection. It features an elegant diamond-studded M-shaped and a white gold setting grasping Mikimoto signature. Mikimoto makes the jewel to be lustrous and carefully picked the White South Sea Cultured Pearl that naturally takes the center stage with its glowing beauty. Achieving sophistication with Mikimoto is simple, whether it is a ring, a pendant, a pair of earrings… or all three. It doesn’t get any simpler than this when it comes to charming the crowd with your jewelry. 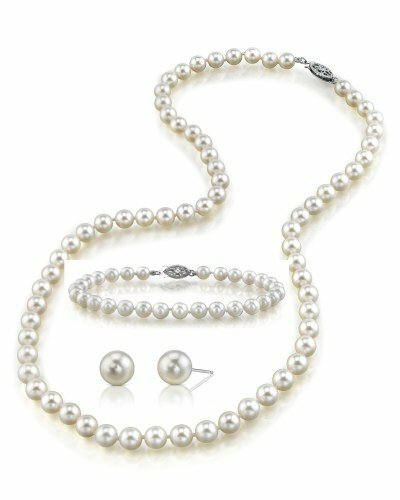 Click Here for Japanese Akoya White Pearl Set from The Pearl Source. It has been confirmed that Mikimoto will not be in Basel this year. 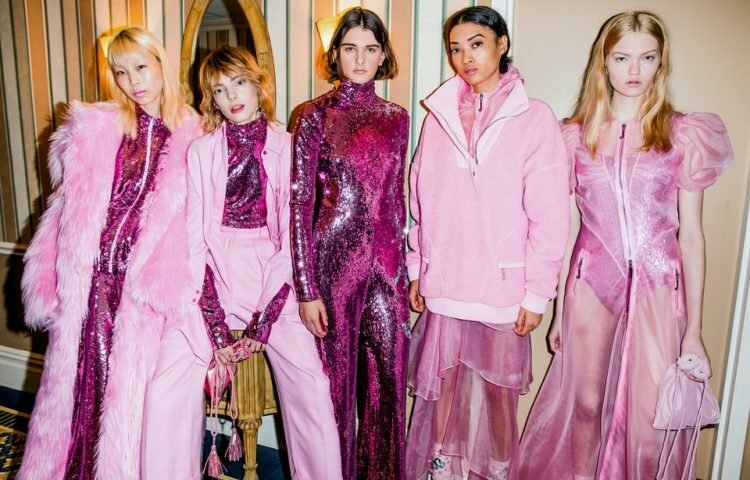 The pearl Maison opted to unveil the latest and greatest jewel collection during private appointments held at the Mandarin Oriental hotel in Geneva. This was timed to coincide with the SIHH show in January. The firm marked its 125th anniversary. The occasion was filled with an array of exciting pearl jewelry debuts. Each jewel collection was headlined by Yaguruma. This is a line that takes motivation from an essential design originator, Kokichi Mikimoto. He introduced this acclaim at the 1937 World Exhibition in Paris. A sash clip of the Obidome kimono which was executed in the Art Deco style was decorated with Akoya cultured pearls, caliber-cut sapphires and emeralds. This clearly boosted 12 interchangeable settings. Due to this, there was room for disassembling and reassembling of parts that completely formed different pieces such as the brooch or a hair ornament. At the pearl jeweler Mikimoto archives, the Yaguruma Sash Clip lends the designs and structure of its circular centerpiece. This will be able to allow the formation of new pendants, a bracelet, a belt and the clasps of some classic pearl necklaces. Some collections such as the Les Petales Place Vendome collection invoke the passionate cosmopolitan milieu of Paris. 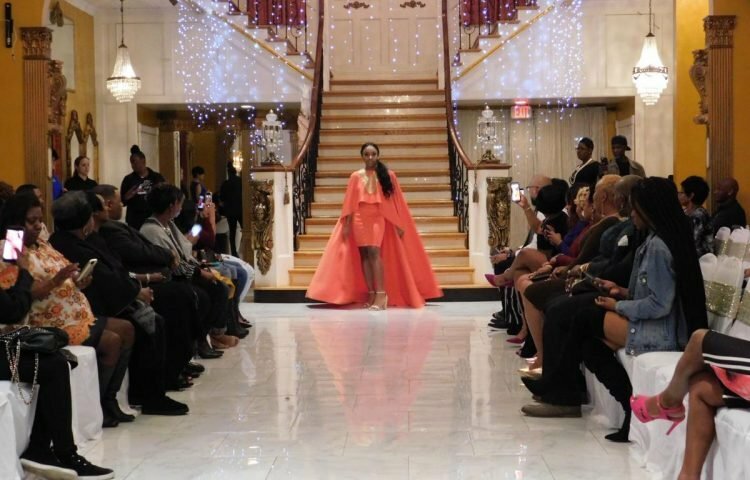 This collection is very simple and has the modern designs that have been inspired by rose petals floating to the ground at Vendome. This is where Mikimoto opened a boutique immediately after the Paris exhibition. In this place, the diamond accented petals encircle with Akoya and South Sea cultured pearls. This brings out the feminine suite that consists of a pearl necklace, pearl rings and a pearl bracelet. 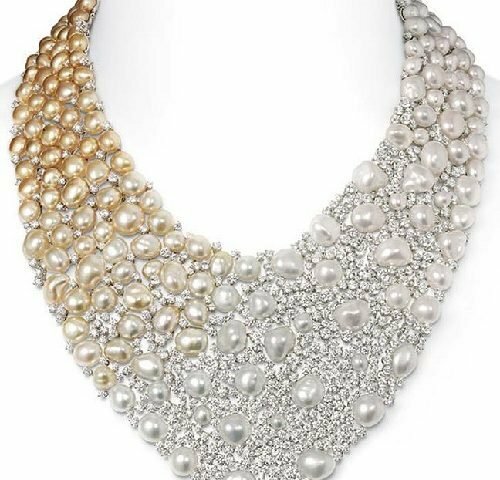 Geneva debuts have other one-of-a-kind pearl pieces. These pieces are set with spectacular diamond and colored gemstones and new luxury gifts. Photo frames are detailed in Akoya cultured pearls and diamond. The frames are thoughtfully designed in a lacework pattern and also they are in radial cut mother-of-pearl. READ MORE: Black Tahitian Pearls – What’s all the Fuss? 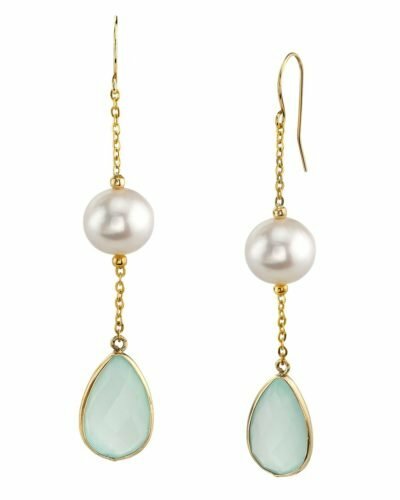 Click here to view these 14K Gold Freshwater Pearl & Chalcedony Sophia Tincup Earrings from The Pearl Source. Yaguruma bracelet with Akoya cultured pearls. It contains mother-of-pearl, quartz, and diamonds in 18k white gold. Yaguruma pendant with Akoya cultured pearls. It has diamonds and green enamel inlay in 18k white gold. Les Petales Place Vendome ring. This ring jewel has diamonds and some elegant white South Sea cultured pearls. (In 18k white gold). Les Petales Vendome necklace. This necklace contains diamonds and some beautiful white South Sea cultured pearls. (In 18k white gold). 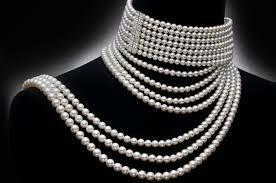 Interested in buying pearl jewelry from a high-end retailer who truly knows pearls? 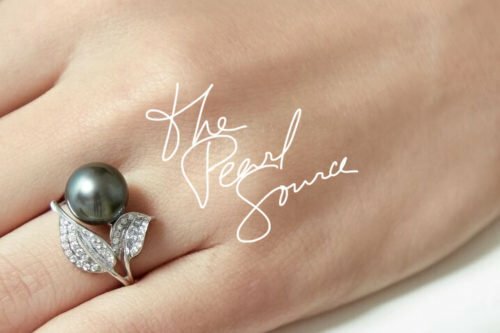 The Pearl Source not only carries a premium collection of pieces, we also customize our jewelry to meet you personal style and needs. Click here to shop pearl jewelry now! Abigael Shem is a Content Marketing Geek with eight years' experience in academic, content, research and creative writing, editing and proofreading. When she's not writing, she enjoys singing, dancing, hiking, traveling and sports, especially football and basketball. Abigael currently blogs for The Pearls of Wisdom blog.